Humans and dinosaurs go together like gamers and pizza. That tens of millions of years separated the last of the dinosaurs from the first of the humans is a mere inconvenience, easily ignored. 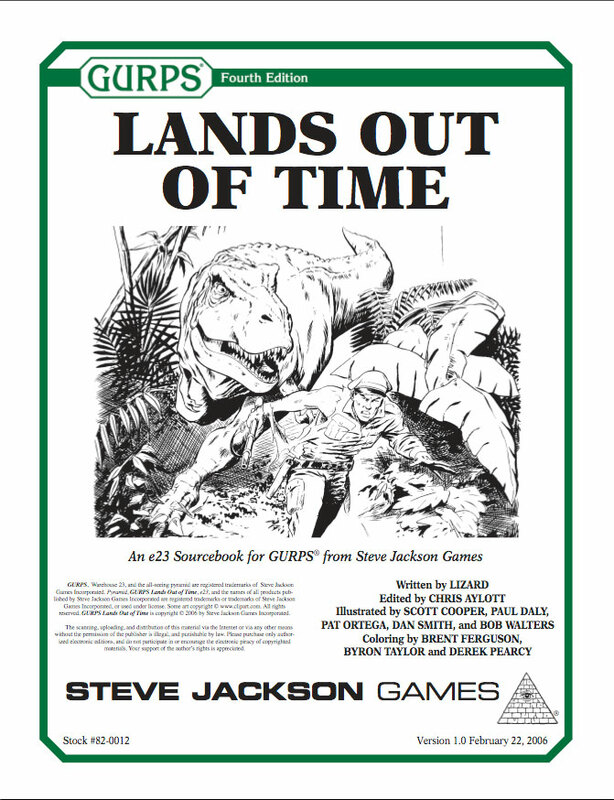 GURPS Lands Out of Time is a sourcebook for human/dino adventuring, providing all you need to know to place man and giant reptile side-by-side, whether it's a "Lost World" adventure, caveman slapstick, or something in between. 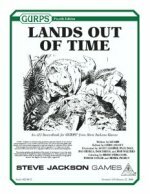 GURPS Lands Out of Time is an e23 original game setting for GURPS Fourth Edition. GURPS Ice Age – The weather is harsh. Gigantic beasts, and your own savage cousins, surround you on every side. You have only your wits and the weapons you can make by hand. Can you survive?